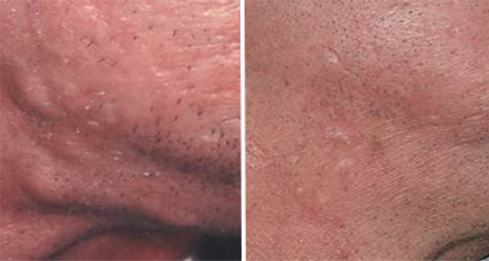 Cysts are not only unsightly but some cysts can also get very inflamed and result in scarring. 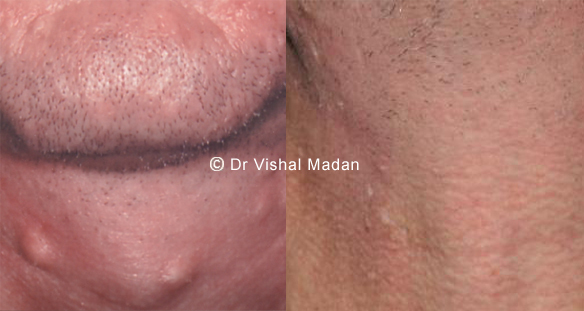 Cysts can be excised, or be injected with steroids or removed using a specialised technique described by Dr. Madan. This results in very low risk of scarring.